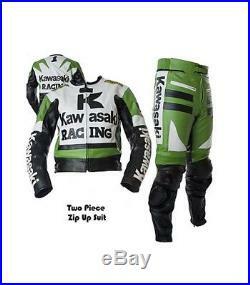 KAWASAKI MEN MULTI COLOR Motorcycle RACING Leather Suit Jacket Pants. 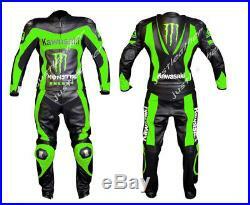 Any custom changes you want is possible please send message for further details. 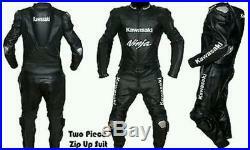 Suit made up with 100 % Genuine Top Quality Cowhide Leather. 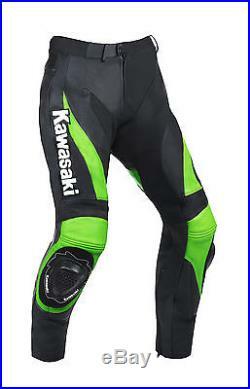 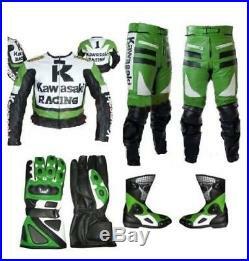 Ø Kawasaki suit with Original YKK Zippers Ø CE Approved Safety Pads Ø Jacket has Back Zipper to Attach with Pants….